Brooklyn Jo Bowman is here. She was born March 7, 2016. I was terribly anxious to have her come, but she had different plans. 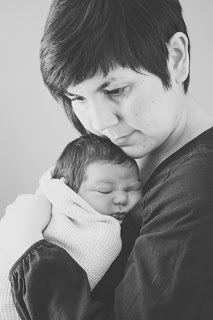 Here is her birth story. On Sunday morning my water broke or at least I thought it had. (I thought my water had broken two weeks earlier and it hadn't.) Labor did not begin so I tried to sleep and not cry from frustration. Monday morning Cody stayed home with me and we … [Read more...] about Brooklyn Jo is Home!